Nickname: "Auld Reekie," "Athens of the North," "Edina," "Dunedin"
Edinburgh is the capital city of Scotland. It is the seventh largest city in the United Kingdom and the second largest Scottish city after Glasgow. It has been the capitol of Scotland since 1437 and is the seat of the Scottish Parliament. The city was a center of the Enlightenment, led by the University of Edinburgh, earning it the nickname Athens of the North. Located in the southeast of Scotland, Edinburgh lies on the east coast of the Central Belt, along the Firth of Forth, near the North Sea. Owing to its rugged setting and vast collection of Medieval and Georgian architecture, including numerous stone tenements, it is often considered one of the most picturesque cities in Europe. 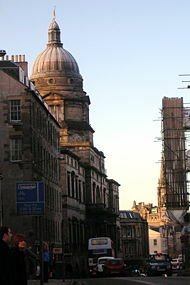 The Old Town and New Town districts of Edinburgh were listed as a UNESCO World Heritage Site in 1995. They display a "remarkable juxtaposition" between districts carefully planned and built centuries apart which "exerted a major influence on the development of urban architecture and town planning throughout Europe in the eighteenth and nineteenth centuries." Edinburgh is one of Europe's foremost tourist destinations, attracting one million visitors a year. It is the second most visited tourist destination in the United Kingdom, after London. The origin of the city's name inEnglish is understood to come from the Brythonic Din Eidyn (Fort of Eidyn) from the time when it was a Gododdin hillfort. It came to be known to the English, the Bernician Angles, as Edin-burh. The burgh means "fortress" or "walled group of buildings," while Edin is untranslated. The city is affectionately nicknamed Auld Reekie (Scots for Old Smoky), because of smoke from coal and wood fires. Edinburgh has also been known as Dunedin, deriving from the Scottish Gaelic, Dùn Èideann. Dunedin, New Zealand, was originally called "New Edinburgh" and is still nicknamed the "Edinburgh of the South." Edinburgh occupies seven miles (11 km) of the north-facing slope on the southern shore of the Firth of Forth, which is an arm of the North Sea reaching west into the Scottish Lowlands. Much of the city lies among craggy upthrusts of lava and hills—the valleys between were scoured by Pleistocene Epoch glacial action. Arthur’s Seat has an elevation of 823 feet (251 meters), while Castle Rock, a basalt plug sealing an extinct volcano, stands 250 feet (76 meters) above the valley floor and is crowned by the famous Edinburgh Castle. Edinburgh has a temperate maritime climate, which is relatively mild despite its northerly latitude. Winters are especially mild, with the average maximum daytime temperature in January of 43.2°F (6.2°C), rising to an average maximum of around 65.8°F (18.8°C) in July. The proximity of the city to the sea mitigates any extremes of climate. Edinburgh is renowned as a windy city. Mean annual precipitation is 26.3 inches (668 mm). 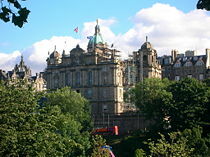 The historic center of Edinburgh is divided by the broad green swathe of Princes Street Gardens. To the south is Edinburgh Castle, perched atop the extinct volcanic crag, and the long sweep of the Old Town trailing after it along the ridge. To the north lies Princes Street and the New Town. The gardens were begun in 1816 on bogland which had once been the Nor Loch. To the immediate west of the castle lies the financial district, housing insurance and banking buildings. Looking northeast across part of Princes Street Gardens. View over Auld Reekie, with the Dugald Stewart Monument in the foreground. A nineteenth century view of Holyrood Palace from Calton Hill. Edinburgh Castle, as viewed from Princes St. Evidence of human settlement on the shores of the Firth of Forth dates to 7000 B.C.E., while archaeological excavations reveal that the Castle Rock has been occupied since about 1000 B.C.E. Roman forts were built at Cramond and Inveresk on the western and eastern margins of the present-day city during the second century C.E. A Celtic tribe known as the Votadini was based at Traprain Law, a hill about 20 miles (30 km) east of the modern city at that time, and moved to Castle Rock around 500, after the Romans departed. In 580, when a military campaign started in Edinburgh (Din Etin) (commemorated in the Welsh poem Y Gododdin) most of the inhabitants of southern Scotland spoke British, the ancestor of modern Welsh. Around 638, Edinburgh was besieged, possibly marking the passing of control of the fort of Din Etin from the Gododdin to the Northumbrian English, led at this time by Oswald of Northumbria (604-642). 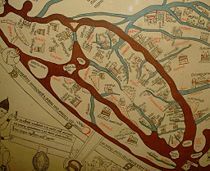 However, in the seventh century, Edwin of Northumbria (586-633), an Angle of Deira (the southern part of the Kingdom of Northumbria, captured this location and named it Eiden's burgh (burgh being an old word for "fort"). Edwin made Edinburgh his capital and from it carved out a kingdom, which stretched to the river Humber in England, known as Northumbria/Bernicia. By 731, Edinburgh was firmly within the kingdom of Northumbria at the time of Bede (672-735), who completed his History in that year. Around 960, Scots captured Edinburgh during the reign of Illulb mac Custantin (954-62). King David I (1085-1153) granted Edinburgh the status of a Royal burgh in 1125, which promoted the manufacture of cloth and trade in the city. Because of Edinburgh's earlier Anglo-Saxon rule, Edinburgh and the Border counties lay in a disputed zone between England and Scotland, England claiming all Anglo-Saxon Domains as English territory, and Scotland claiming all territory as far south as Hadrians Wall. This resulted in a long series of border wars and clashes, which often left Edinburgh Castle under English control. After the Wars of Independence (1296–1328) fought against England, Edinburgh became Scotland’s main trading center. In 1329, King Robert the Bruce (reign: 1306–1329) confirmed Edinburgh's privileges as a royal burgh and established a port at Leith. At that time, Edinburgh was renowned for its stench—domestic refuse and offal from skinners, butchers, and fishmongers were dumped on either side of the main street. King James IV of Scotland (reign: 1488–1513) moved the Royal Court from Stirling to Holyrood, making Edinburgh Scotland's capital. James V established the Court of Session, the central civil-law court, in Edinburgh in 1532. 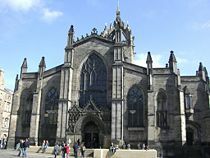 In 1639, disputes over the planned merger, between the Presbyterian Church and the Anglican Church, and the demands by Charles I, to reunify the divided St Giles' Cathedral, led to the Bishops Wars (1639-1640), which in turn led to the English Civil War (1641-1653), and the eventual the occupation of Edinburgh by Commonwealth forces of Oliver Cromwell. In the 1670s, King Charles II commissioned the rebuilding of Holyrood Palace. In 1707, the Act of Union, which joined the Kingdom of England and the Kingdom of Scotland (previously separate states) was signed in a cellar in Parliament Square, and Edinburgh lost all independent political life. A surge of building took place within the Old Town. Edinburgh was occupied by Jacobite forces during the last Jacobite rebellion in 1746, which aimed to return descendants of the Scottish House of Stuart to the throne of England. It was subsequently occupied by British forces under the command of the Prince William, Duke of Cumberland (1721-1765), leading to a long period of reprisals. From 1772, after the draining of the Nor Loch, which had been both the city's water supply and place for dumping sewage, Edinburgh expanded beyond the Old Town. The Nor Loch area became Castle Gardens. The New Town resulted from a 1776 design competition, which created a rigid, ordered grid, which fitted well with enlightenment ideas of rationality. George Street, Frederick Street, Hanover Street, Queen Street, and Prince’s Street, the main shopping street in Edinburgh, were named in honor of the Hanoverian monarch on the English throne. A number of Scottish intellectuals, many from Edinburgh, including political economist Adam Smith (1723-1790) and philosopher David Hume (1711-1776), felt it was a time for Scotland to modernize. They promoted the idea of Britishness, and led the British Empire into a golden age of economic and social reform and prosperity. Edinburgh became a cultural center, earning it the nickname "Athens of the North," both due to the Greco-Roman style of the New Towns' architecture, as well as the rise of the Scottish/British intellectual elite there. The creator of the historical novel, Sir Walter Scott (1771-1832), was another Edinburgh native. Excess soil from the construction of the New Town was dumped into the loch, creating what became The Mound. In the mid-nineteenth century the National Gallery of Scotland and Royal Scottish Academy Building were built on The Mound, and tunnels to Waverley Station driven through it. From 1830 to World War I (1914-1918), Edinburgh, like many cities, industrialized, but most of this happened in Leith. Edinburgh did not grow greatly in size, but the increase in the laboring population brought overcrowding, malnutrition, and epidemics. Glasgow soon replaced it as the largest and most prosperous city in Scotland, becoming the industrial, commercial, and trade center, while Edinburgh remained Scotland's intellectual and cultural center. Sir Patrick Geddes (1854-1932), a pioneer of urban planning, tried to revive the Old Town in the 1890s. Nationalist poet Hugh MacDiarmid (1892-1978) made Edinburgh the center of the Scottish political and literary renaissance in the 1920s and 1930s. After World War II (1939-1945), Edinburgh developed as a center for higher education, especially in medicine and surgery, electronics, and artificial intelligence. The cultural life of the city expanded, especially through the Edinburgh International Festival, which began in 1947. The city has begun a movement to conserve its stone architecture. 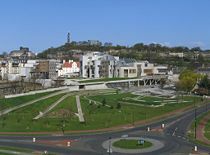 A new Scottish Parliament and government was established in Edinburgh in 1999, re-establishing the city as the capital and political center of Scotland. The new Scottish Parliament Building opened in October 2004. As part of the United Kingdom, Scotland is a liberal democracy and a constitutional monarchy. In elections to the House of Commons of the Parliament of the United Kingdom, the city is divided into five first-past-the-post constituencies. As capital of Scotland, Edinburgh is host to the national unicameral legislature, the Scottish Parliament, which opened in September 2004. The Scottish Parliament devolves responsibility for health, education, housing, economic development, regional transport, the environment, and agriculture. For elections to the European Parliament, Edinburgh is within the Scotland constituency. Edinburgh constitutes one of the 32 council areas of Scotland and is represented by the City of Edinburgh Council, comprising 58 elected councillors, each representing a multi-member electoral ward, and led by the Lord Provost. Council elections are held on a four year cycle. Each of the multi-member wards elects three or four councillors by the single transferable vote system. 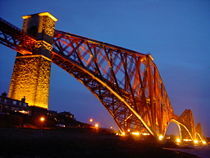 The Forth Bridge at night. Waverley is located in the ravine between the Old and New Town on the drained Nor Loch. 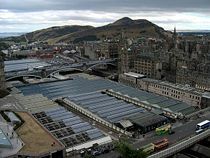 Within the United Kingdom, Edinburgh's economy is second to London—the city's GDP per capita was measured at US$55,000 in 2004, compared with London's US$72,500 in 2005. The city's economy is centered around banking, financial services, higher education, tourism, and government, as well as its legal system. Banking has been a part of the economic life of Edinburgh for over 300 years with the invention of capitalism in the city, with the establishment of the Bank of Scotland by an act of the original Parliament of Scotland in 1695. The city's financial services industry, particularly insurance and investment, has caused Edinburgh to emerge as Europe's sixth largest financial center. The Royal Bank of Scotland is the fifth largest in the world by market capitalization. Tourism is an important economic mainstay, enhanced by the city's status as a World Heritage Site, and the annual Edinburgh Festivals, which generates in excess of £100-million for the city. Manufacturing has never had as strong a presence in Edinburgh as Glasgow. However, brewing, publishing, and electronics have maintained a foothold. Unemployment in Edinburgh was low at 2.2 percent in 2007, below the Scottish average. Edinburgh is a transport hub, with arterial road and rail routes that connect the city to the rest of Scotland and with England. The Forth Bridge and the Forth Road Bridge are both engineering feats. A bus service provides most public transport. Construction began in 2007 on a light rail tram line to connect Edinburgh Airport and Granton via the city center and Leith Walk. Leith is the port of Edinburgh and retains a separate identity. Redevelopment attracted the business of a number of companies which provide cruises to Norway, Sweden, Denmark, Germany, and the Netherlands. Leith has the decommissioned Royal Yacht Britannia. Large parts of the port have been redeveloped into retail and residential buildings. Edinburgh is served by Edinburgh Airport, located about eight miles (13 km) to the west of the city. The University of Edinburgh's Old College, home of its Law School. The City of Edinburgh council area had an estimated population of 463,510 in 2006. The population of the greater Edinburgh area was 1.25 million and was projected to grow to 1.33 million by 2020. Though Edinburgh's population is aging, there is a large and transient population of around 100,000 young students. Edinburgh is a cosmopolitan city. The main ethnic groups are: Scottish (including those of mixed English and Scottish descent and those born in Scotland of full English descent) 82 percent, English 13 percent, Polish two percent, Chinese one percent, Indian one percent, and Pakistani one percent. The other two percent includes French, Spanish, Lithuanians, Australians, New Zealanders, South Africans, Chileans, Malaysians, and Africans. 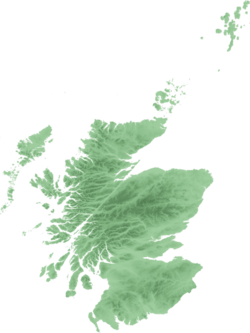 The primary languages are Scottish English, (Lowland) Scots, and Scottish Gaelic. The Church of Scotland claims the largest membership. Its most important and historical church is Saint Giles' Cathedral. The Roman Catholic Church has a sizable presence. 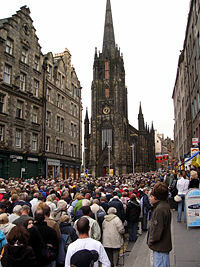 The Free Church of Scotland (Reformed and Presbyterian) has congregations on the Royal Mile and Crosscauseway. The Scottish Episcopal Church is part of the Anglican Communion. Independent churches include Destiny Church, Charlotte Chapel, Carrubbers Christian Centre and Bellevue Chapel. Edinburgh's main mosque and Islamic Centre was opened in the late 1990s, largely financed by a gift from King Fahd of Saudi Arabia. A Jewish community in the city dates to the late 17th century. Edinburgh's Orthodox synagogue was opened in 1932. A Liberal congregation also meets in the city. There is also a Sikh Gurdwara and Hindu Mandir in the Leith district. The Royal High School that traces its roots to 1128, is considered to be the oldest school in Scotland. The University of Edinburgh was founded by Royal Charter in 1583, and is the fourth oldest university in Scotland. The Old College on South Bridge opened in the 1820s. The Royal College of Surgeons of Edinburgh and the Royal College of Physicians of Edinburgh were established by Royal Charter, in 1506 and 1681 respectively. The Trustees Drawing Academy of Edinburgh was established in 1760, an institution that became the Edinburgh College of Art in 1907. Heriot-Watt University and Napier Technical College were established in the 1960s. Other colleges include Telford College, opened in 1968, and Stevenson College, opened in 1970. Basil Paterson College offers courses in languages and teaching. The Scottish Agricultural College also has a campus in south Edinburgh. 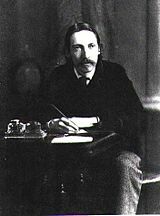 Robert Louis Stevenson, a native of Edinburgh. Sir Arthur Conan Doyle, a native of Edinburgh. The Royal Mile in the Old Town during the Edinburgh Festival. Famous authors of the city include Sir Arthur Conan Doyle, the creator of Sherlock Holmes, Ian Rankin, author of the Inspector Rebus series of crime thrillers, J. K. Rowling, the author of Harry Potter, who wrote her first book in an Edinburgh coffee shop and Adam Smith, economist, born in Kirkcaldy, and author of The Wealth of Nations. On the more sinister side, famous criminals from Edinburgh's history include Deacon Brodie, pillar of society by day and burglar by night, who is said to have influenced Robert Louis Stevenson's story, the Strange Case of Dr Jekyll and Mr Hyde; the murderers Burke and Hare, who provided fresh corpses for anatomical dissection; and Major Weir a notorious warlock. Scotland has a rich history of science and Edinburgh has its fair share of famous names. James Clerk Maxwell, the founder of the modern theory of electromagnetism, was born there and educated at the Edinburgh Academy, as was the telephone pioneer Alexander Graham Bell. Other names connected to the city include Max Born, physicist and Nobel laureate; Charles Darwin, the biologist who discovered natural selection; David Hume a philosopher, economist and historian; James Hutton, regarded as the "Father of Geology"; John Napier inventor of logarithms; and Ian Wilmut the geneticist involved in the cloning of Dolly the sheep just outside Edinburgh. The stuffed carcass of Dolly the sheep is now on display in the National Museum of Scotland. Edinburgh has two professional football clubs: Hibernian and Heart of Midlothian. The Scotland national rugby union team plays at Murrayfield Stadium, the Scottish cricket team play home matches at The Grange, and the Edinburgh Capitals are the latest of a succession of ice hockey clubs to represent the Scottish capital. In April 2008, Mark Beaumont, from New Town, Edinburgh, broke the world record for the fastest circumnavigation of the globe by bicycle, completing his ride in only 194 days and 17 hours. The Edinburgh Festival is a collection of festivals held annually over four weeks from early August, and include the Edinburgh Fringe, the Edinburgh Comedy Festival, the Edinburgh International Festival, the Edinburgh Military Tattoo, and the Edinburgh International Book Festival. The Hogmanay street party takes place on December 31, Burns Night on January 25, St Andrew's Day on November 30, and the Beltane Fire Festival on April 30. 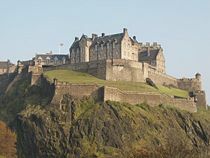 Edinburgh Castle, in which the oldest existing building is Saint Margaret's chapel, built in the early twelfth century. The Royal Mile, which is part of the Old Town, refers to the succession of streets which runs between Edinburgh Castle at the top of the Castle Rock down to Holyrood Abbey. Minor streets or alleyways (called closes or wynds) lead downhill on either side of the main spine in a herringbone pattern. Large squares mark the location of markets or surround public buildings such as Saint Giles Cathedral and the Law Courts. 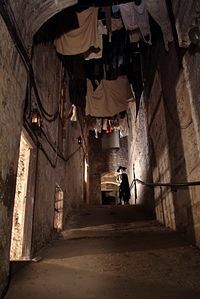 Mary King's Close, named after a sixteenth century Edinburgh merchant, consists of a number of closes which were originally narrow streets with tenement houses on either side, stretching to seven storys high. Space restrictions in the Old Town gave rise to some of the earliest "high rise" residential buildings, known as lands, with 10 and 11 stories being typical. Additionally, numerous vaults below street level were inhabited to accommodate the influx of (mainly Irish) immigrants during the Industrial Revolution. These continue to fuel legends of an underground city. Holyrood Abbey, which is a ruined Augustinian Abbey sited in the grounds of the Royal Palace of Holyroodhouse, which it predates, and was built in 1128 at the order of King David I of Scotland. Holyrood House, officially the Palace of Holyrood, which is situated at the bottom of the Royal Mile, and date largely from the reign of Charles II (c. 1649-1685). The Holyrood Abbey precinct remained a debtors' sanctuary until the 19th century, long after the abbey itself had fallen into disrepair. Parliament House, which is located on the Royal Mile, and was built between 1632 and 1639. Since the union of the Scottish and English parliaments in 1707 the building has been used by the Court of Session, the highest court of law in Scotland. Edinburgh Zoo, located on the Corstorphine Hill, and was built in 1913, receives over 600,000 visitors a year, which makes it Scotland's second most popular paid-for tourist attraction, after Edinburgh Castle. As a center of the Enlightenment, an intellectual center, arguably the birthplace of capitalism, and the location of a centuries-long financial tradition, Edinburgh offers a rich legacy that transcends the curiosities of Edinburgh Castle, the Royal Mile, and the 4,500 heritage buildings listed there. With a GDP second to London, as the location of the Scottish Parliament and with one million visitors a year, Edinburgh's financial future would seem assured. Panorama of the Old Town and Southside of Edinburgh from the Nelson monument. The term Panorama was originally coined by the Irish painter Robert Barker to describe his panoramic paintings of Edinburgh. ↑ Population - Vital Statistics Retrieved April 17, 2012. ↑ General Register Office for Scotland, Mid Year Population Estimates, 2006. Retrieved October 19, 2008. ↑ "Napier University Edinburgh," Graduate Prospects. ↑ University of Edinburgh, University of Edinburgh Historical Tour. Retrieved October 19, 2008. ↑ Library and Archives Canada, Alexander Graham Bell. Retrieved October 19, 2008. ↑ J J O'Connor and E F Robertson, John Napier, University of St Andrews. Retrieved October 19, 2008. ↑ Donald Campbell, Edinburgh: A Cultural and Literary History (Oxford: Signal Books, 2003, ISBN 1902669738). Campbell, Donald. 2004. Edinburgh: A Cultural and Literary History. Cities of the imagination. New York: Interlink Books. ISBN 9781566565158. Davies, Norman. 1999. The Isles: A History. London: Macmillan. ISBN 0333692837. Harris, Nathaniel. 2000. Heritage of Scotland: A Cultural History of Scotland & Its People. New York: Checkmark Books. ISBN 9780816041367. Magnusson, Magnus. 2000. Scotland: The Story of a Nation. New York: Atlantic Monthly Press. ISBN 9780871137982. This page was last modified on 25 September 2017, at 19:53.